Magic There are	47 products. Cool Street Card Magic set comes Jam packed with 200 cool card tricks fo you to perform. The most amazing card set ever! The Classic Magic Cups & Balls Trick Set with DVD! Exclusive Magic Cards & Stand Trick Set with DVD! Exclusive Magic Card Frame Trick Set with DVD! Conjure up some "Family Magic" Fun. Exclusive Magic Linking Rings Trick Set with DVD! Exclusive Magic Houdini Box & Chains Trick Set with DVD! Exclusive Magic Trick Hat Set with DVD! Exclusive Set 1 with DVD! This exciting magic set is jam-packed with props, a DVD and instructions to learn how to perform a whole range of astonishing magic tricks. Thrill your friends! Exclusive Magic Trick Set 2 with DVD! Exclusive Magic Trick Set 3 with DVD! This magic tricks demonstrates how a magician can make coins fly from one magic cup to another. This magic trick involves three magic cups and some cotton balls.The illusion creates the effect that one solid is able to magically pass through the other effortlessly. So you have always wanted to know how the sawing the lady in half worked. Well this is your opportunity with absolutely no risk to any assistant. With this famous magic trick you are able to show a solid pencil size mummy which is placed into a container which is in full view at all time. This is a stunning magic effect which involves a magic see through container and a die. The die is placed into the container, the container is sealed and with one quick shake the large die magically explodes into a number of little die. The Theatrix Money Printer makes use of exciting new technology creating the illusion of being able to print money anywhere any time. Its like having your own personal portable ATM. With the Secret Box, You Will Be Able To Make Small Objects Magically Appear and Disappear! Rising magic wand is a magicall illusinon where the wand magically appears to rise up in the magicians hand. With this amazing set of magic cards you can change all of the cards to each the same and then back again. When a spectator chooses a card, it can be placed into the middle of the deck and in a blink of an eye, show up on the top. This is the Psychic Deck: Card Magic card kit by Fantasma Magic Company! This great set includes over 25 different routines and is high quality like a magician would use! Fantasma Magic makes products for those that aspire to become magicians. Marked Cards Set Including a DVD! Miracle Deck Set DVD Included! Tapered Cards Set DVD Included! The Classic Linking Rings Now Comes With A DVD! Bend Spoons When You Command It To DVD Included! Over 50+ Cool Tricks To Learn. The Most Unbelievable Show Awaits.. Penetrate, restore and amaze! A pen is pushed through a borrowed and signed dollar bill and then removed, yet the bill has no hole in it! This is an easy to do and amazing effect. The Fantasma Magic Linking Ring Through String is a great close-up trick that is easy to do. This is a wonderful kit for young magicians 7 and up who want to learn real magic! The Abracadabra Top Hat Magic Kit for that little Houdini in your life! With over 100 cool tricks and illusions to learn this kit will set you on the path to magic greatness! With over 150 cool tricks to perform the Astounding Magic DVD set is one of the best magic kits Fantasma has ever made. With over 150 cool tricks to perform the Beyond Reality Magic DVD set is one of the best magic kits Fantasma has ever made. Ready to amaze your friends? Just enter the Break Thru Magic box- inspired by Steve Fearson, and levitate before their eyes! The Grand Illusion Set has some of the best tricks Fantasma has ever made in it. In fact, many professionals use these tricks in their shows right now, yet they're simple enough for an 7 year old to do! This kit is already being talked about in magic circles everywhere. It has some of the best tricks Fantasma has ever made in it. This award winning magic kit has over 300 of the coolest magic tricks ever assembled in one set, including a real magician’s Illusion box which can vanish and produce objects, as well as transform one object into another. A Truly Disgusting Magic Set. WITH THIS MAGIC SET YOU WILL BE ABLE TO PERFORM THE MOST POWERFUL MAGICTRICKS, MAKE OBJECTS APPEAR AND DISAPPEAR WITH YOUR EMPTY HAND. WITH THIS AMAZING MAGIC SET YOU WILL LEARN THE ART OF SLEIGHT OF HAND WITH SPONGE. YOUR AUDIENCES JAWS WILL DROP TO THE FLOOR WHEN THEY WITNESS YOUR POWERFULL MAGIC WITH SPONGE. 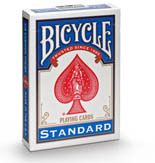 MAGIC MIRACLES CONTAINS ONE OF THE GREATEST MAGIC TRICK PACK OF CARDS OF ALL TIMES. THE PACK IS FULLY EXAMINABLE AND UNDER YOUR YOUR FULL CONTROL AT ALL TIMES. This amazing exciting magic set come complete with ropes and DVD and teaches you to perform an amazing illusion for your spectators. WITH HYPNOTIC DECK YOU WILL BE ABLE TO PERFORM OVER 25 AMAZING EXCITING MAGIC TRICKS WITH CARDS. With this deck of cards your magic performance will be taken to a whole new level. Extreme magic tricks with a deck of cards. The incredible Svengali Deck does the most amazing magic- it turns you into a magician instantly! The Svengali Deck is constructed using an ingenious secret gimmick, something that lets you perform stunning card magic tricks as soon as you take the deck out of the box! No special skill is needed, no previous experience with magic is necessary!